We’ll leave the debate about honey elsewhere, but this tea is simple and delicious no matter what sweetner you use. Almost too simple to blog about, this got me through last winters’ cold season. I dug these pictures out from the depths, having taken them from my American phone in Prague when my camera died, hence the quality. Sure, you can buy this tea in teabag form, but it’s neither as good or as good for you as investing in some fresh ginger root and lemons yourself. Peel the ginger and cut it into chunks. Put into your favorite mug. I like to make the ginger big enough that I won’t swallow it while drinking the tea, which makes it easier to reuse the ginger for a a few batches of this and less annoying anyway. Cut three or however many you want good slices of a lemon, squeeze them into the mug, then throw the squeezed lemon slices in as well. Fill mug with hot water, add sweetner to taste. 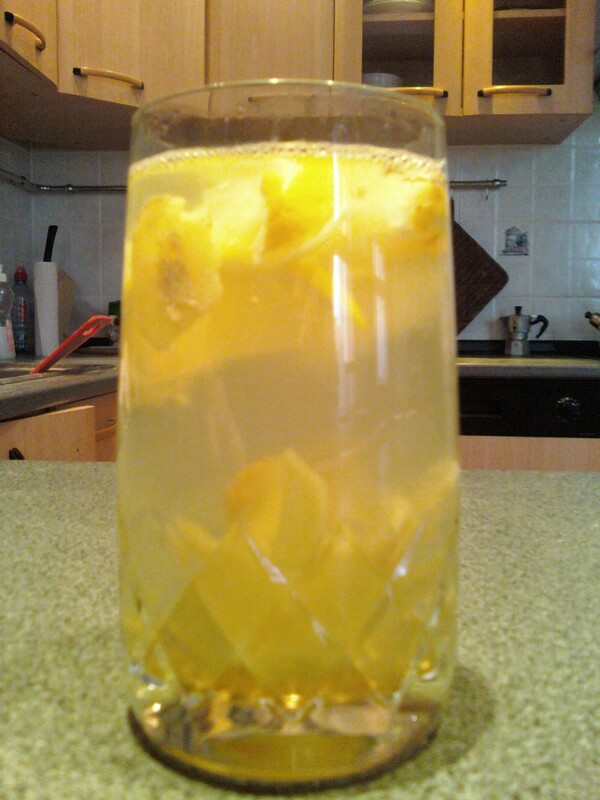 Ginger is supposed to ease nausea and stomach aches and is definitely a flavor I always crave when sick. 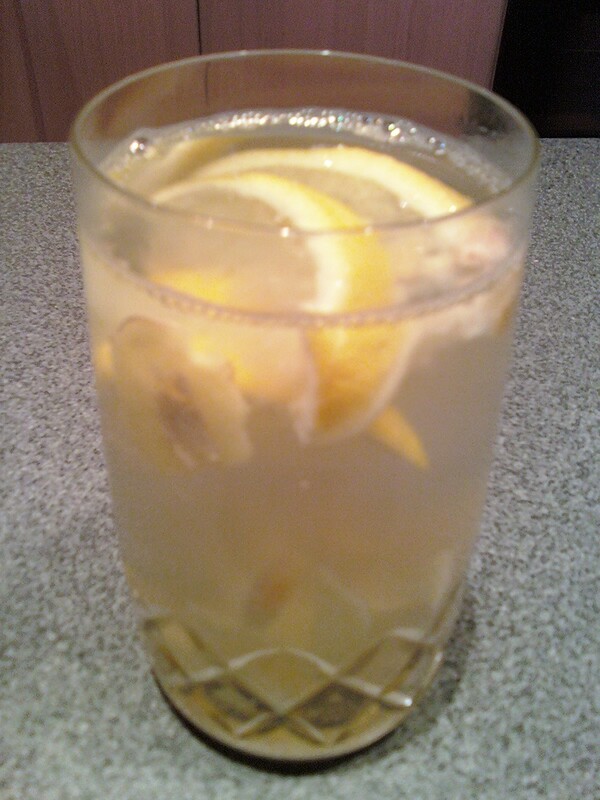 The lemon helps dilute the disgusting mucus one becomes filled with when ill, and also just tastes yummy. What other syrupy sweetners do you use? I don’t think maple syrup would work here, but perhaps brown rice syrup. What else is out there?